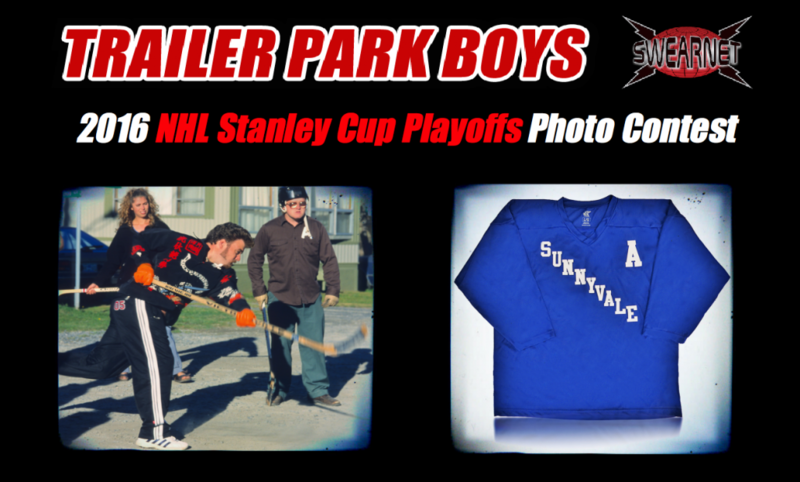 Stanley Cup playoffs photo contest – win a TPB hockey jersey! Wanna play street hockey in style this summer? Upload a photo of you partying “Sunnyvale-style” during any Stanley Cup playoff game, and you could win an awesome TPB hockey jersey signed by Ricky, Julian and Bubbles, plus a one-year subscription to swearnet.com!